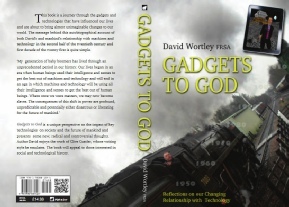 David Wortley’s new book Gadgets To God is a journey through the gadgets and technologies that have influenced his life and have changed the way we live, work and play. 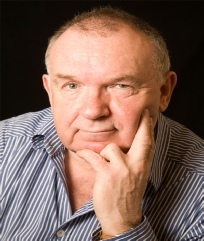 Founding Director of the Serious Games Institute (please find also Mapping The Serious Games Industry Within The UK and Serious Games Institute Could Help Recession Hit Industries), Wortley takes us on a fifty-year ride, devoting each of the chapters to an individual communications technology from the transport technologies of bicycles, scooters, motor bikes, cars, buses, trains and planes of chapter two to the immersive technologies of video games, virtual worlds and social networks that now engage our discretionary time, attention and income. Chapter Nine, It’s Only A Game, explores Wortley’s journey through Serious Games, stating his contention that “all games are inherently serious and the most successful activity for engaging our discretionary time”. This chapter also sets the scene for the final chapter in which he speculates on what might be in a store if we follow this path. David Wortley is about to embark on a roadshow for the book, including special talks with lots of audience interaction. The Forward to the Past Show is a humorous walk through the technologies that are changing our lives forever illustrated with anecdotes, music, videos and audience interaction in an innovative format. The show’s premiere takes place at the Little Theatre in Leicester on April 10th, at 10:30 - tickets available from the theatre box office.